With a name Like F1 fins you would expect speed, efficiency and high end performance – These fins deliver on all fronts! 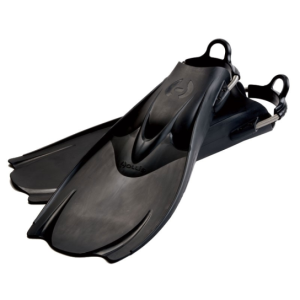 The Hollis F1 fins are made from a single piece of high strength industrial monoprene rubber. Basically that means with no seams, no plastic and no joins the Hollis F1 Fins are as tough as they come. For me that makes them perfect for almost any keen diver. 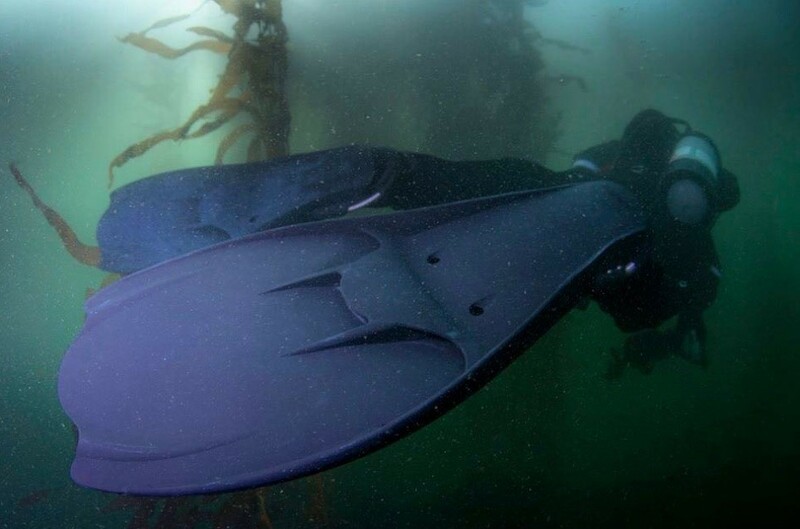 Having a durable fin gives you confidence to take on even the toughest conditions from technical diving with multiple tanks to bashing them in and around rocks on a cray hunt! Being made from a single piece of monoprene rubber gives the Hollis F1 fin a substantial weight. This makes it a great choice for divers wearing drysuits or 7mm wetsuits to help control the dreaded floaty foot syndrome. Because of this weight and strength of the fin the designers at Hollis have included three vents on the fin just past the tip of your toes. On any fin this zone at the very tip of your foot is a bit of a dead zone. Typically that part of the fin offers nothing in terms of increased performance and simply makes it harder to kick. Having three vents here allows water in the dead zone to move through the fin and reduce your physical effort and increase efficiency. In the past using slimmer softer fins I struggled to turn on the sport without kicking up a wee cloud of silt but with a Technical fin like the F1 those big rails act almost like side panels and give you a much better surface to turn with. Using this style of fin I can also finally back kick (move backwards) without flapping my arms around like an underwater chicken! With all that strength and rigidity all moving through the water becomes a breeze. The Hollis F1 fins are also much easier to get on and off compared to other fins I have used. To start with they have a stainless steel spring strap which has three tension setting to make sure you get a perfect fit. The beauty of a spring strap is that there is no more flopping and flailing about trying to get your rubber straps in place and secure. The F1 fins also have a thumb large thumb loop to make life easier actually pulling the strap into place. In terms of getting the fins off the F1 stands apart from others like it because of two seemingly insignificant drain holes in the foot pocket. These drain holes stop the fin from sucking onto your wetsuit boot so hard that you need to call on your buddy to yank them off. 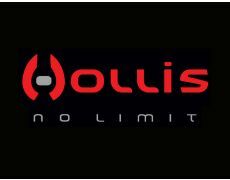 All in all I think the Hollis F1 fins are fantastic option for divers who are looking for a high performance fin. The fins combine performance, ease of use, and power seamlessly to give divers a fin that will meet the even the most demanding of dive situations. It is an extremely well designed and well thought out fin – looks cool too! Spend $100 in store anytime during April to go in to win!! Scuba Diving #Dive Course, #dive trip, #divehq, #divehqchristchurch, #lovetodive, #loveyourjob #padi #scuba #divehq. permalink.